Additional musical programming and other acts will add a much richer range of options in 2019, inviting the participation of those who cannot join us in asana and active movement. The positioning of the second music stage near Barrow Street will help integrate performers into the larger flow of events. Come one, come all and experience C.C. 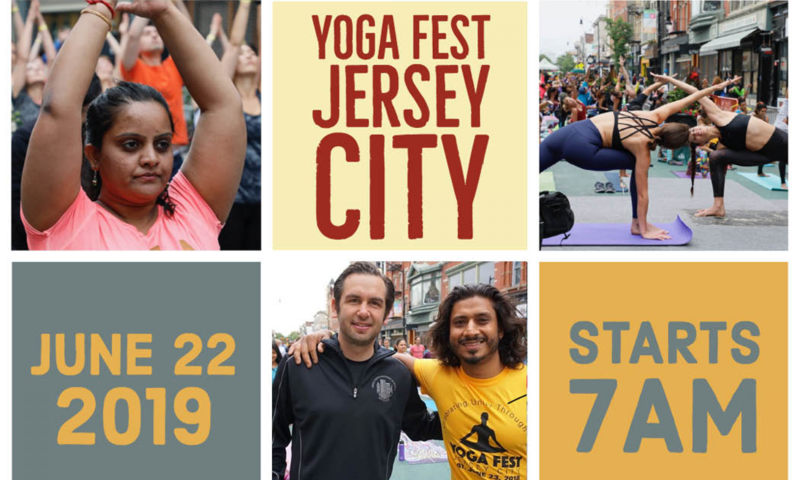 White & Soul Kirtan at the Yoga Fest Jersey City. Experience and afternoon of dance, chant, excitement, heart opening, hand clapping and foot stomping joy! 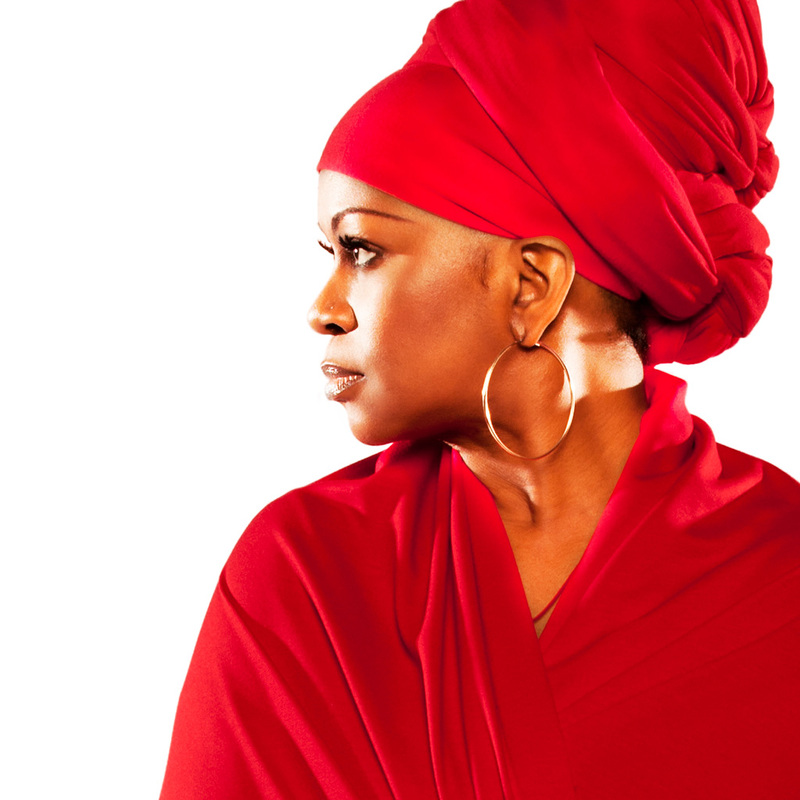 With her beloved, signature burst of color (Red Head Wrap), C.C. White’s distinct Soul Kirtan performances have won her wide recognition as “The Queen of Soul Kirtan.” Embodied in one exotic, soulful being, her unique, soul-flavored chant performances effortlessly enrapture audiences, lifting their vibrations sky high with powerful, soaring call-and-response vocals and masterful musicianship. Led by the raw and beautiful sonic experience itself to rise up in ecstatic chant and dance, audiences are inspired and shaktified by the pure devotion radiating through C.C.’s exciting stage presence. From quiet and angelic, to powerful and earth moving, her heart and entire being is within every chant! 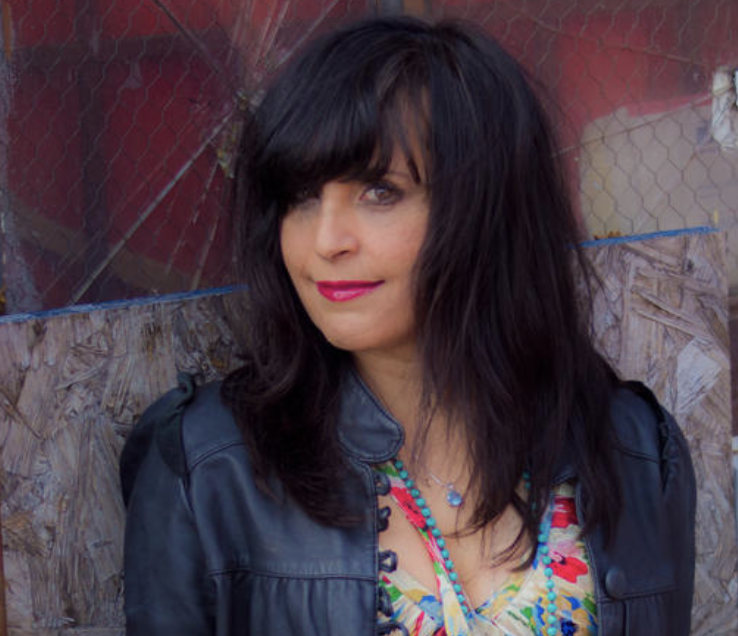 Having also sang and recorded with such great and iconic artists such as: Ben Harper, Charlie Mussellwhite, Jason Mraz, Lenny Kravitz, Jackson Browne, Crosby, Stills & Nash, Stewart Copeland, Barry White, Taj Mahal, Joseph Arthur, Joe Cocker, Rocco Deluca, Dhani Harrison, Chrissie Hynde, Al Green, Tony Lucca, Edwin McCain, Warren Haynes, and many more……to C.C., music is like the air she breathes. With a beautiful Mother, that sings Gospel Operatic Music, C.C.’s been singing with a gift from the divine since the age of 2 years old, playing piano since the age of 6 years old, and attended Sewell Music Conservatory, and The Peabody Institute of Music. 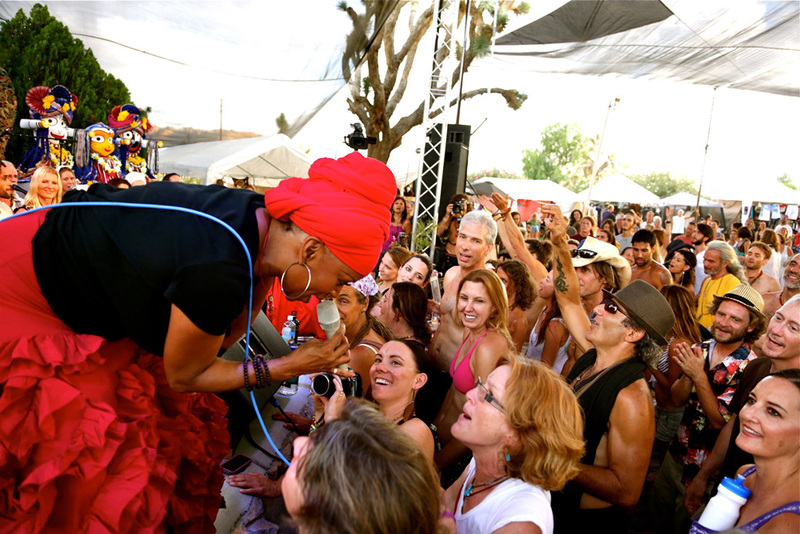 For a one of a kind, sweet soul freeing, foot stomping, body swaying, funky heart opening, divine *Soul Kirtan* experience, prepare to fully immerse your soul into Ms. C.C. White! Devadas is a kirtaniya, composer and artist hailing from Brooklyn, New York. 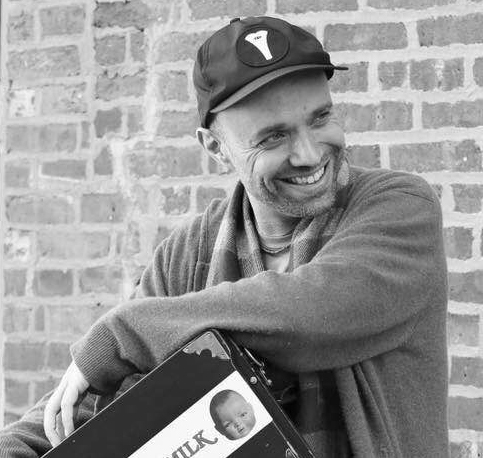 He leads kirtans throughout the world and has recorded a wide variety of acclaimed CDs, including his latest releases, 3 Prayers and Radio Nada. In 2012, Devadas collaborated with indie-rock icon J Mascis to produce and record the film score for the feature documentary One Track Heart: The Story of Krishna Das. Kirtan is the traditional, repetitive, call and response singing of Sacred Namavalis, Divine Names, as revealed to ancient seekers in India. It is participatory chanting, music as meditation, a spiritual practice, open to anyone, that helps to gradually tune one’s awareness inward towards one’s own heart, which, in traditions the world over, is held to be the doorway to the true source of lasting happiness. Samarth Nagarkar is a Hindustani classical vocalist, known for his captivating performances and a traditionally rich music. Samarth features in several prominent music festivals and venues around the world. He has two solo albums titled ‘Pravah’ and ‘Pranali’, a book: ‘Raga Sangeet’ and several other collaborative albums such as ‘Out of the Blue’ and ‘Ragas Live Retrospective’, to his credit. 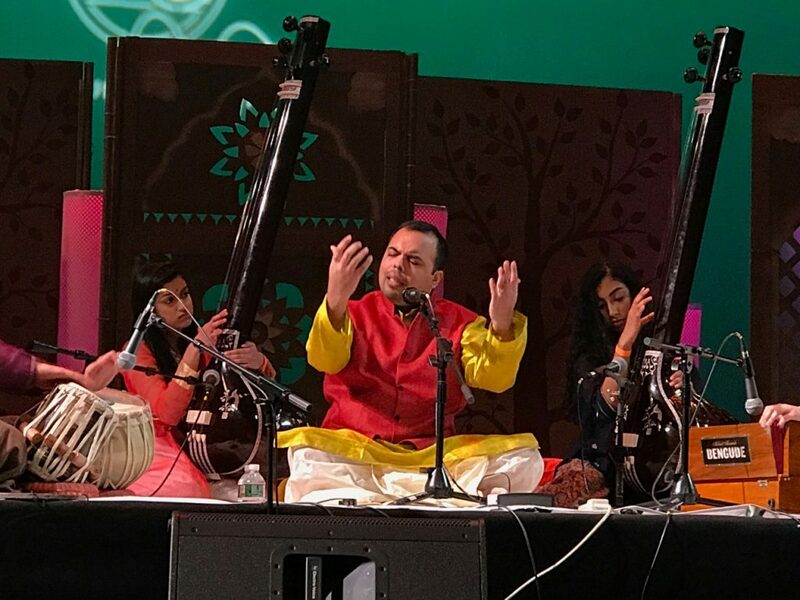 He is Guru and Director of Academic Affairs at Chhandayan Center of Indian Music in New York and frequently presents lectures and master-classes at schools like NYU and MSM. Trained under distinguished gurus and performers, Ulhas Kashalkar and Dinkar Kaikini, he is a former scholar of the ITC Sangeet Research Academy, Kolkata. Pursuing a full-fledged career as a performer, composer, teacher and author, Samarth is described by critics as one of today’s most prolific performers and a torchbearer to the traditions he represents. 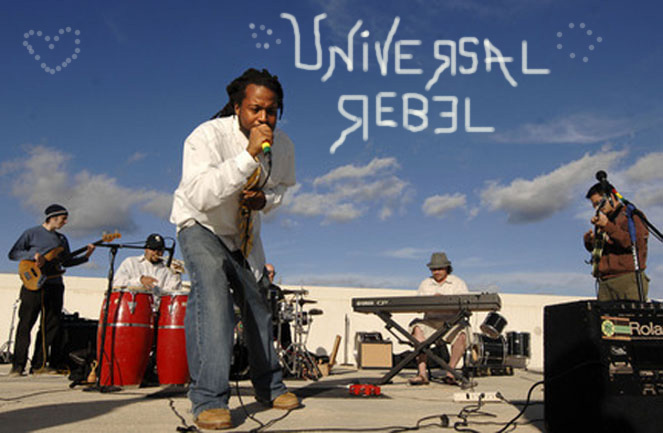 Universal Rebel (UR) is an ORGANIC HIPHOP COLLECTIVE based out of North Jersey. UR is what you get when you take Bob Marley’s brand of REBEL MUSIC, mixed with the conscious lyricism of COMMON, with the musical experimentation of PHISH; a style UR has titled “HipHop Dub/Luv”. The band’s frontman, ADEO, formerly of the group RAINation, was the featured opening act for such legends as Kanye West, The Black Eye Peas, The Roots, Wyclef Jean, Talib Kweli, Common, Robert Randolph, Jimmy Cliff, Julian Marley, and an array of other artists.